Since my eldest daughter started school (last year! 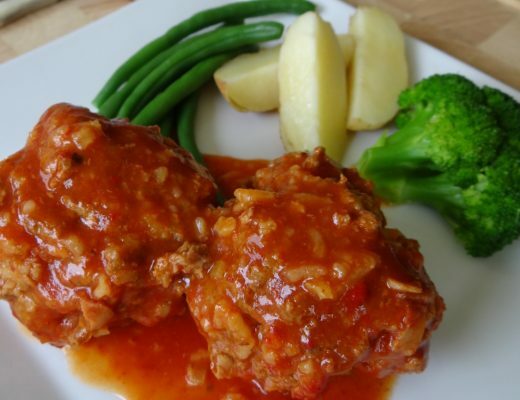 ), I have been promising her we would have a mummy and daughter date. She feels a little left out when she hears I’ve taken her younger sisters to the park or the shopping centre while she’s been at school. I explain that she had wonderful outings with me before her sisters were born. I know she misses those outings, but I also know her sisters would LOVE to trade places with her at school. 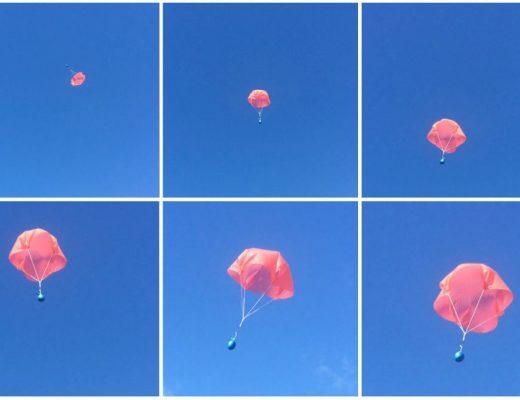 I know the benefits of one-on-one time with my girls and it’s going to be important for me to have regular outings with each of my daughters so they have a chance to have me all to themselves and so I feel more connected to them individually. These younger years will fly by and I don’t want to waste this window of opportunity. 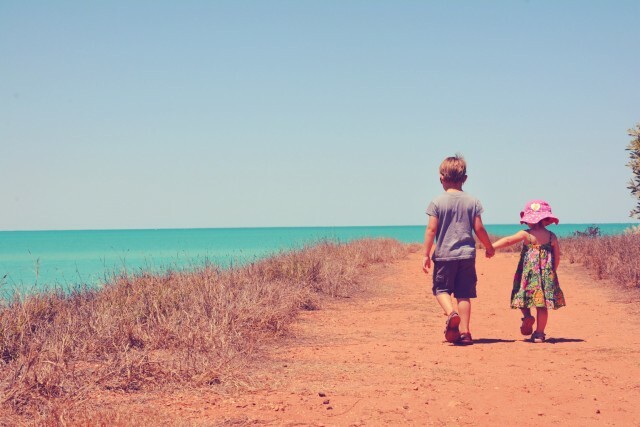 I have great childhood memories from when my father would take me to work and I want my girls to be able to reflect on having similar memories. 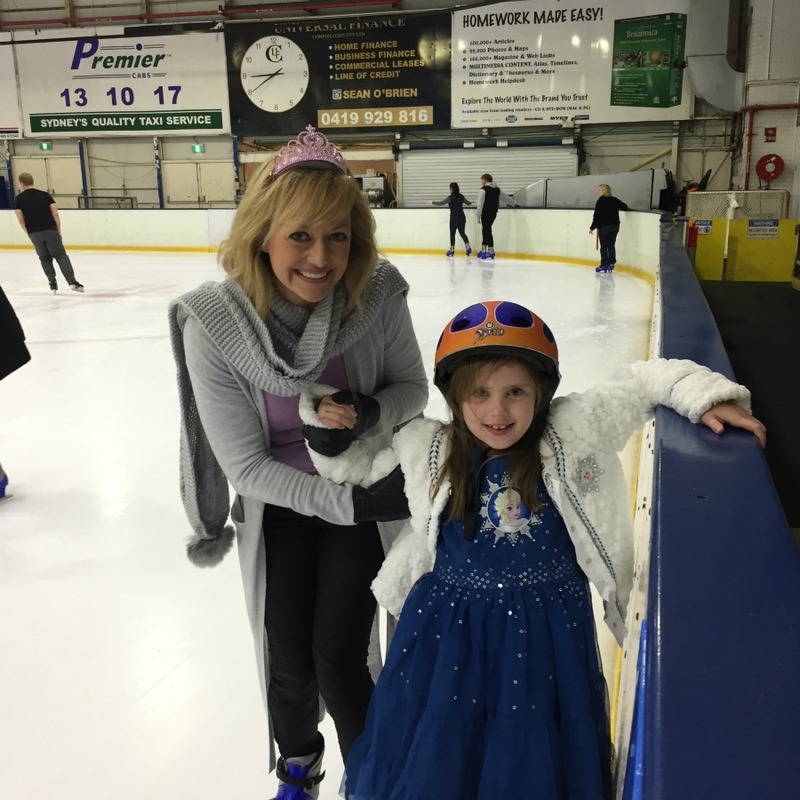 When the opportunity arose for myself and Esther to head down to Sydney to hear about the new Frozen Disney on Ice show AND to ice skate with Shelley Craft, I was excited. 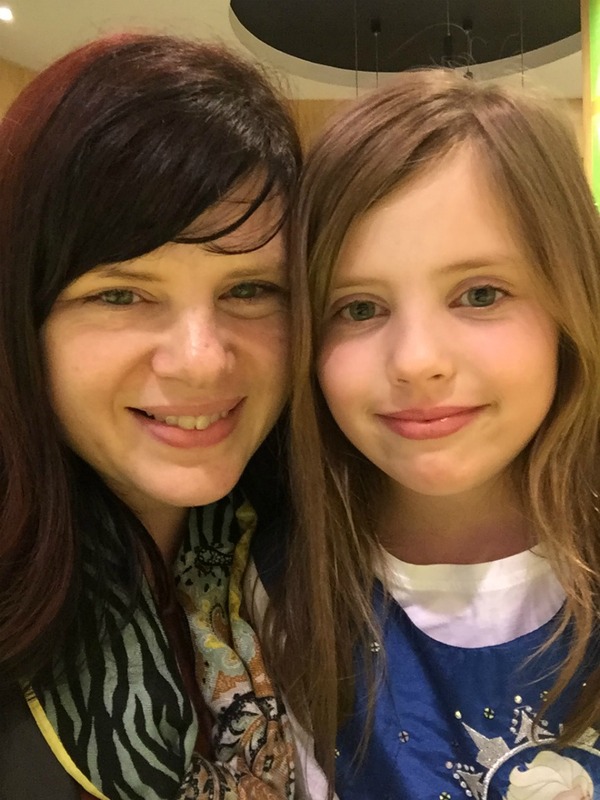 This opportunity was the perfect outing for a mother and daughter date! Esther is a fan of The Block and Frozen. 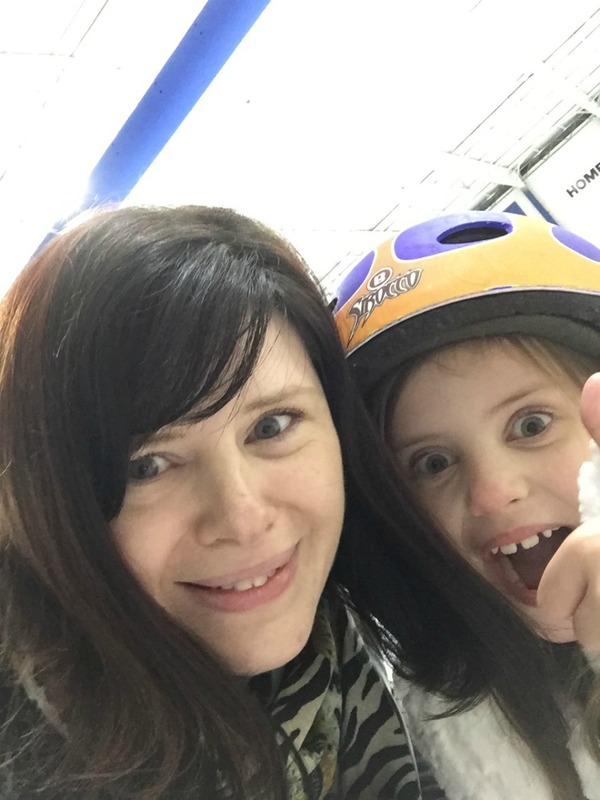 Last year she was invited to go ice-skating with a friend and ended up loving it. I knew this invitation was going to blow her mind. I accepted the invite and waited for the confirmation details to come through. Once the flights were booked and transfers were confirmed, my excitement peaked because I had chosen NOT to tell Esther until the morning of our departure. Of course I had to let her in on a few details so that she could get excited and prepare herself for the day. Like what to wear for example. When I told Esther we were FINALLY going to have our mummy and daughter day, she smiled and asked me where we were going. I told her it was a secret and all would be revealed the next day. Her hands clasped together with delight and her little brain started to think of all the places we could go. She started to name possible places… Disneyland? No The cinema? No Mt Tamborine? No The Snow? No I then googled Shelley Craft and asked Esther if she recognized the picture on my computer screen. “Is she from My House Rules?” Me: “Close, but no. Shelley helps present The Block.” “Omigosh, are we going on The Block?” Me: “No.” I loved the questions and I couldn’t wait to reveal the surprise the next morning. As expected, Esther woke up early and I had organized for my dad to drop us off to the airport. 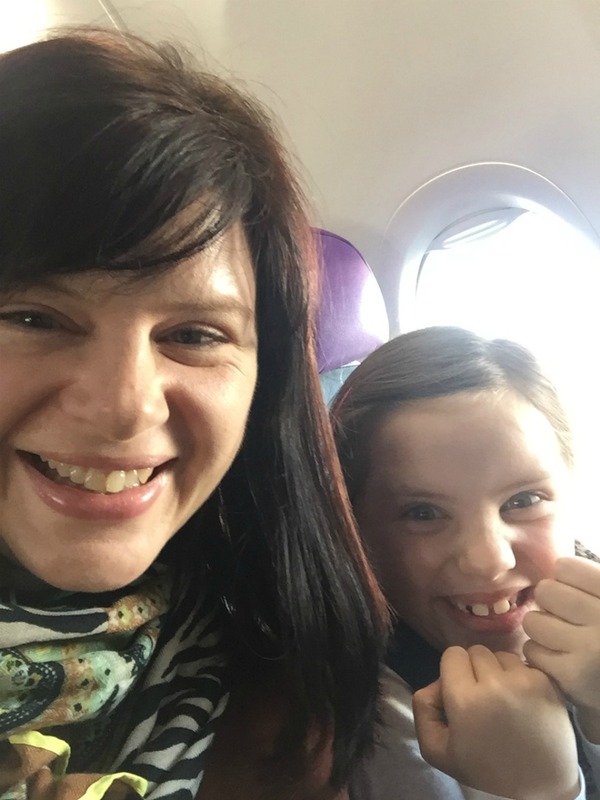 (My husband dropped my middle daughter to grandma’s and my youngest to daycare) When we sat in the lounge near our gate to board our flight to Sydney, I told her where we were going and MINDBLOWN. She was excited. We were going to fly to Sydney and be picked up from the airport. 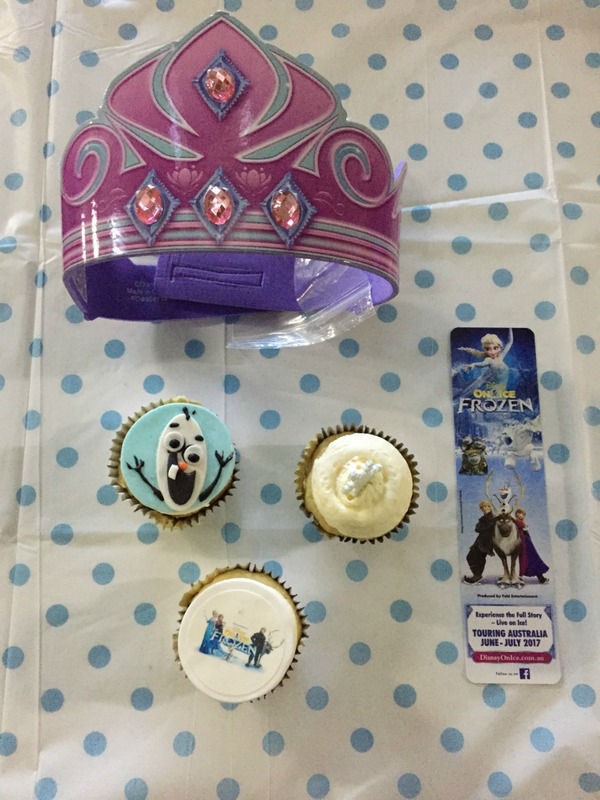 We would be chauffeured to Canterbury Ice Skating Rink where we would be able to ice skate with Shelley Craft (who is the ambassador for Disney on Ice), hear about the new Frozen Disney on Ice show and indulge in a delicious morning tea. A character was also going to come and greet us too. Once all was revealed, Esther became impatient while we waited to board our plane. It’s tough being excited and wanting to experience all the things at once!! Our flight down was smooth and our chauffeur was already waiting for us to whisk us away to the ice-skating rink. We arrived early at the ice rink and Esther was eager to get inside and start ice skating. Once inside, we got fitted for our boots. 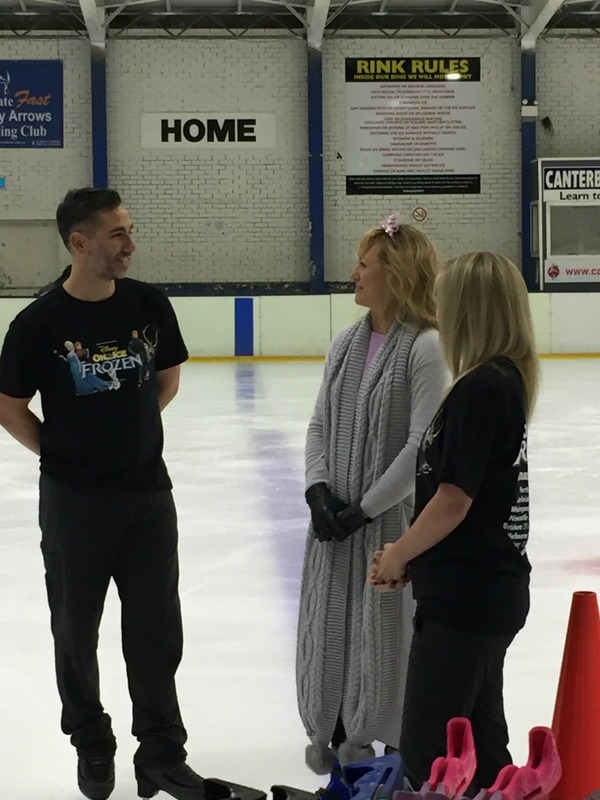 The event kicked off with Shelley introducing two ex-Disney on Ice professional ice-skating performers and asking them questions about touring with other shows. After a few tricky ice-skating moves, everyone was invited onto the ice-skating rink to give it a go. 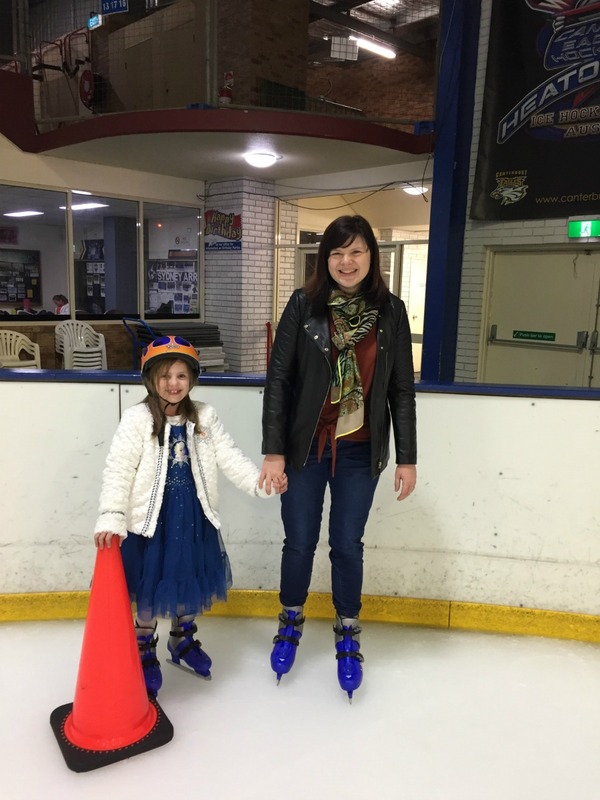 My skates were too big, so while I went to exchange them for the right size, Esther decided to head onto the ice rink. When I came out to find her, she was being helped on the ice with Shelley. I did one (very) slow lap, holding onto the edge for dear life. I wished Elsa was real so could have given me some ice-skating powers so I could glide rather than slip, slide and wobble! Me: Hoping I don’t fall, Esther: THIS IS AWESOME! 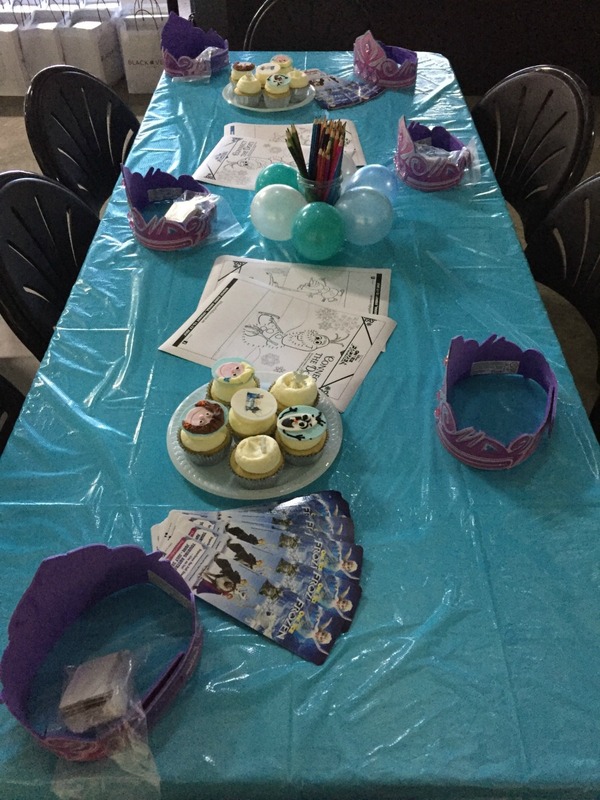 We were then ushered to a gorgeously set morning tea with Frozen inspired cupcakes and craft activities for the kids to busy themselves with. There were opportunities for photos with Shelley and we had a visit from Mickey Mouse himself. The kids got to have a photo with Mickey too. Oh and so did I. 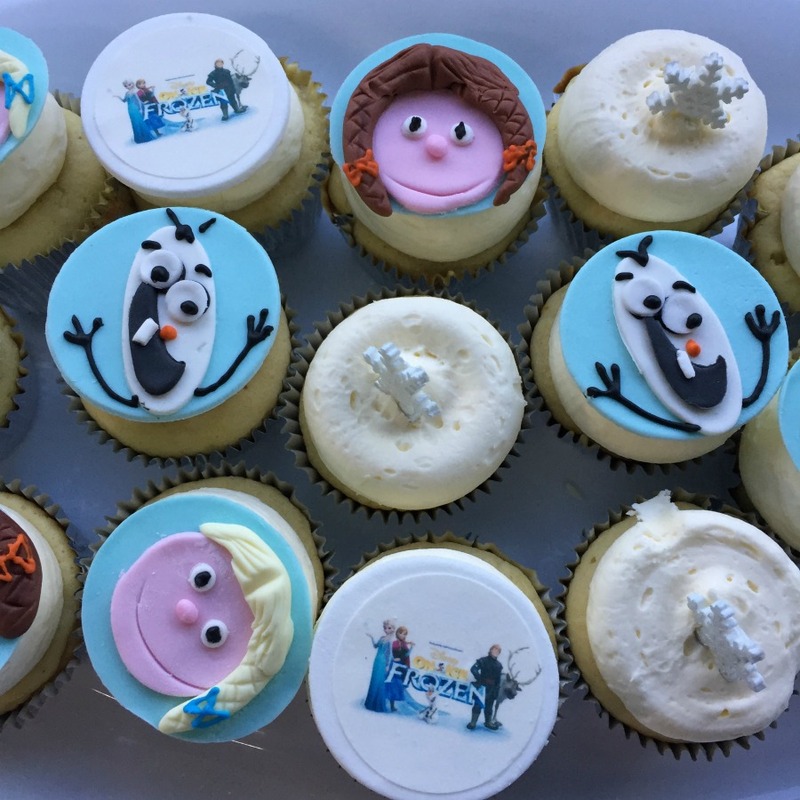 The event was a wonderful way to promote the new Frozen Disney on Ice Show. 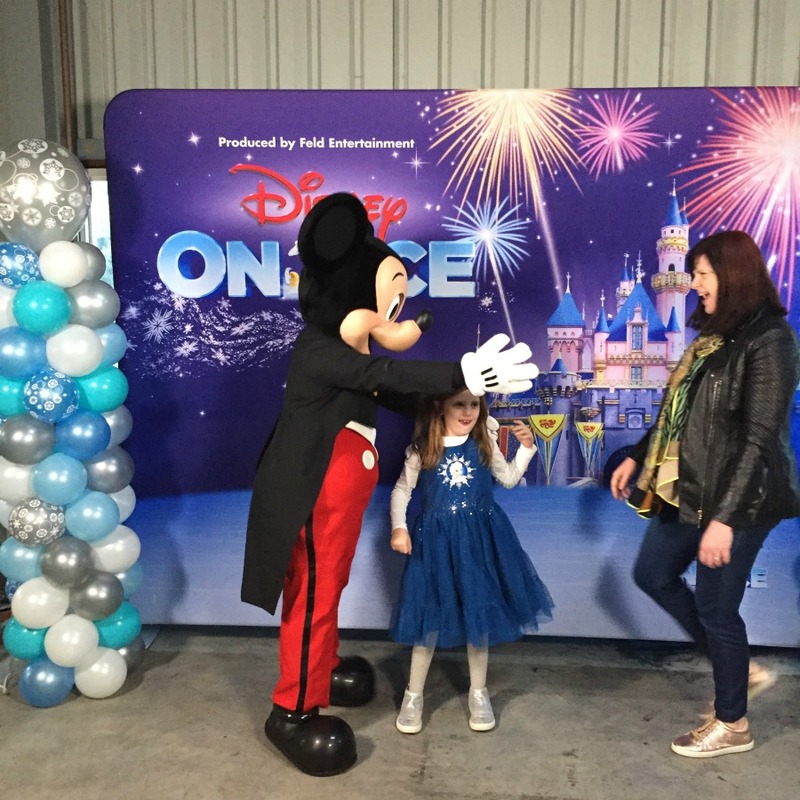 I have never been to a Disney on Ice show, but after Tuesday’s event, I knew I had to buy tickets for our family to attend. I have been to Disneyland around the world and it is my dream to be able to afford to one day take our family to Disneyland so we can experience the Disney magic together. 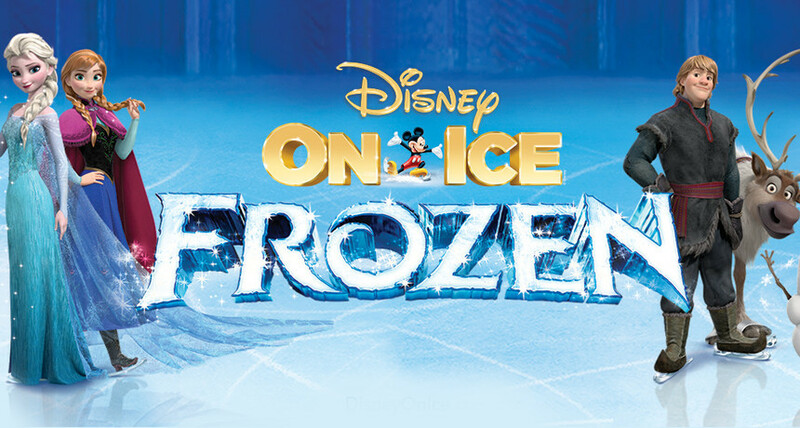 But in the meantime, while we dream and save our pennies, we will take advantage of the opportunity to experience Disney on our door step by attending the Frozen Disney on Ice Show. If you’re interested in purchasing tickets, here are show times available. 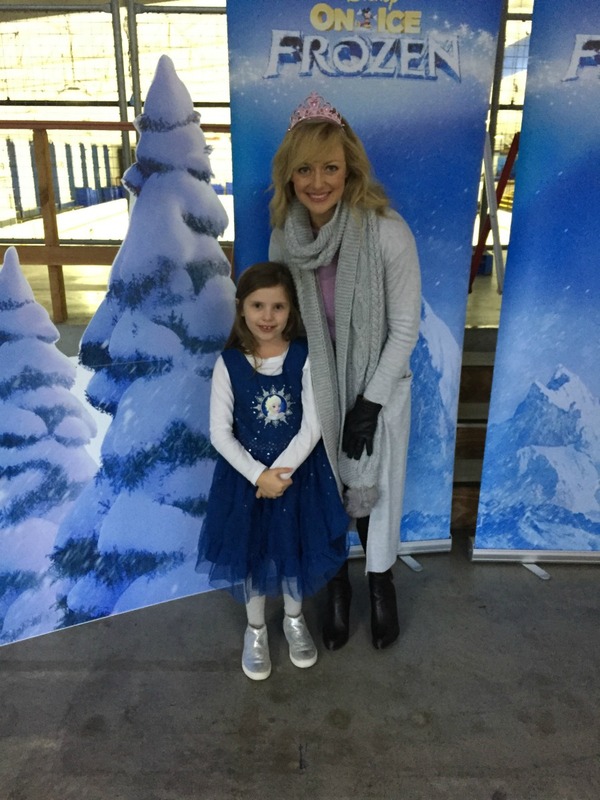 Note: Rebecca and her daughter were guests at the Disney on Ice Frozen Experience. All opinions are the writer’s own.